Addicted to Rubber Stamping: New Year Birdie! It's almost time to rock in a new year. What better way to celebrate than with a card using Doodle Pantry images. If you would like to receive this adorable New Year's Birdie set for free, just go to Doodle Pantry's blog and follow the instructions for downloading. It is available through January 1. There is also a HUGE sale going on in the store too...40% off all digital products through January 2. Be sure to stop by tomorrow for our release day. I just can't seem to get enough of these step cards. I had planned on doing a traditional card, but I couldn't fit all my elements on it, so...step card to the rescue. For this card, I used the newly colored New Year's Birdie set. I love these birdies. The birdie and the designer papers are from this set. I used the colored version of the image, but my printer did a little freak out on me, and the colors didn't all come out right, so I had to use my Copics to fix them. I still tried to make it look the way Laurie colored it, but some of the colors are slight off (branch - E81, E84, E87; bird body - YG11, YG13, YG17; leaves - YG11, YG13; beak and feet - Y35, Y38; hat and flute - V09, V17, V22, B01, B04, B06). I was glad I didn't have to mess with the bird's cheeks or belly. The shading on that always looks great the way Laurie colors them. I used my Silhouette to cut the birdie out. I used glitter fibers for the horn and the top of his hat. I used a purchased step card cut file from Silhouette, but then had to modify it for what I needed. The Happy New Year sentiment is a cut file from Miss Kate Cuttables. I took the color palette from the birdie. The balloons are 5 layers each with an additional star. I then put a matching colored crystal in the center of the star and then used glossy accents to make it shine. The clock is a cut file from a freebie site. I accented it with crystals at the base of each roman numeral and then a glitter crystal for the center of the hands. The 2014 are metallic stickers from The Paper Studio. Susan, this is fabulous. Happy New Year. Hi, what a Gorgeous New Years Card. Love everything about it. Thankyou for sharing with us at That Craft Place. Good Luck and hope to see you again in the New Year. I am loving this New Year's card. Terrific colors and coloring. Thank you for sharing your creation with us at MIM. That's one type of card that I don't do! Just love all the elements you have used. This is one celebratory card, Thank you for sharing this beautiful creation with us at Word Art Wednesday. I want to extend Multiplied Blessings including Peace, Prosperity and Health to your whole household in 2014. Hi Susan! What a super cute and fun New Year's card. Thanks so much for sharing your awesome card in our challenge this week, and please know that I LOVE seeing your art and having you share it in our challenges. Hope you're having a great week, and that your New Year is awesome! Your card is awesome. Love the colorscheme you used. This is such a sweet New Year's design! The birdie is really cute, the sentiment is decorative and I think the clock is a nice little detail, perfect for the occasion! Love what you've done with Birdie, Susan! Great sentiment and clock. What a fab step card! Fabulous stair step card for celebrating the New Year! It's absolutely gorgeous. Have a very Happy and Healthy New Year! Your card is simply fabulous! I was just about to say the same about YOUR card. I love Love love and wanted the link to the clock cut. I made one myself, but this may be even better. I love the whole composition. Susan - this is a beautiful New Years card! Love the fold, the colors, the clock...very nice design! Fabulous card to bring in the New Year, love the fold and all the details, super! Hope 2014 is good to you!! Super Cute. Great work. Thanks for sharing at RCS. Super cute and I LOVE the color!!! Great card! HAPPY New Year to you and thanks for playing along with Speedy Fox & Friends Challenge! Your card is so darn cute ... thank you for joining TTCRD this week. Susan this is absolutely darling! Going to pop over to doodle pantry and check this out. Love this wonderful new year card. What a super fun card!! Happy New Year!! Hope 2014 is a good one for you!! This is too cute for words! 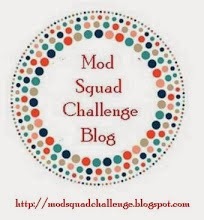 Thank you for sharing your work and playing along with us at Kaboodle Doodles Challenge Blog. Happy New Year! What a great card to see in 2014 with!